The success of one’s blog depends on its rankings in the search engine. 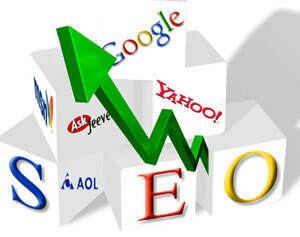 So, it’s must to optimize a blog to define its success as well as improve its rank in the Google search. A better ranking for your blog in the search engine shows its availability to a wider audience and hence more popularity and success for your blog. Here are five tips which you can apply to improve the blog rankings and make it number one in Google search results. Keywords play a pivotal role in improving the blog rankings as it forms the way for the searchers to find the content. The best way to check the phrases or words used by people to locate content is to do your own search for a particular content on Google. The moment you start entering the relevant search terms for your blog in the Google search box, it shows various auto-fill suggestions and also indicate the search strings used by people to search contents related to your blog. It’s always recommended to use these search terms as your Google keywords to improve the rankings of your blog in Google search engine. Apart from these, Google AdWords keyword tool can also be used to find out the keywords relevant to your blog. Using creative titles having double meanings certainly shows the creativity of the blogger but, that’s not search engine friendly as people rarely use such creative search terms for finding out any content. So, you should use titles with straight literal meanings without any meaning hidden inside. It’s also a good suggestion to use keywords in post and image title as well as in the posts themselves. Similarity among the keywords for the posts, images and the titles automatically raises the relevance of the keywords. There are various ways to do this. The best way is by writing guest posts for some high authority blogs in your circumference and adds a backlink to your blog. You can also do this by posting substantive comments on well-respected blogs which allow their links to be followed. The other popular way for getting high quality backlinks to your blog is by posting articles on free article sites. Inter linking basically signifies linking with other posts which are relevant on your blog and also add to its relevance. It can prove to be very beneficial for your blog’s SEO, but only if the linked posts are relevant to the contents to which they’re linked. The recent updates on Google have made the inter linking even more valuable if done wisely. In order to get the benefits of inter linking; here are a few tips which can be followed. First, you should make sure that the anchor text of the link is also relevant to the linked-to content. Anchor texts like “here,” “there,” “Click here,” or other similar non descriptive phrasing should always be avoided as they don’t add any relevance to your blog. So, only relevant searching words should be used. It’s always recommended not to use any link shortening service or URLs consisting of only numbers for creating links. You should use only descriptive URLs as it adds a lot to the relevance of the link. It’s better to use deep links which link to the specific pages on a website are prove to be very beneficial for links to the new domain. Too much of inter linking should not be done as excessive use of inter linking can be penalized by Google. Blogs updated frequently get better rankings than those which are rarely updated. Google search spiders also give more importance to the frequently updated blogs. It’s the main reason which makes the blogs more search-engine friendly than static websites. So, the basic tip to move higher in blog rankings is to keep your blog updated. Frequent updating of your blog leads to indexing of more and more of your contents by Google which automatically raises your blog rankings. It should never be forgotten that Google gives more significance to the websites which maintain a consistency in posting fresh contents. So, by following these SEO strategies, you can gain popularity for your blog and help it in improving its rankings on various search engines. Good point Mate.Use of appropriate keywords is very important. Also updating it regularly with recent topics will certainly help in improving a blog’s rank. Thanks for the post! Thank you Sanjib for this very informative post. I agree that we should really improve the titles of our photos or videos because it can affect the rank of the website. Sometimes, these things are taken for granted, not knowing that these will help a lot in increasing the rank of the site. This five tips are really nice and good for implementing. Thanks for putting up.